KwaZulu-Natal Premier Willies Mchunu delivered the State of the Province Address (SOPA) in Pietermaritzburg on the 28 February 2018. Mchunu commented, "2018 is special because this is the year we celebrate the centenary of our great father of the nation and our first democratically elected president, Madiba, our beloved Tata Nelson, Rolihlahla Mandela. What better way could there be of honouring Madiba in the course of this year than by ensuring that we remind ourselves of what he stood for and what it was that he was prepared to dedicate most of his life to, namely the creation of a united, nonracial, non-sexist, democratic, prosperous and equitable society. In his address, Mchunu referred to President Mr Cyril Ramaphosa State of the Nation Address 2018 who stated, "We are one people, committed to work together to find jobs for our youth; to build factories and roads, houses and clinics; to prepare our children for a world of change and progress; to build cities and towns where families may be safe, productive and content." In line with this sentiment, the theme of the 2018 State of the Province Address was: "Leading with integrity towards growing an inclusive economy, for integrated, targeted and effective service delivery to improve quality of life." 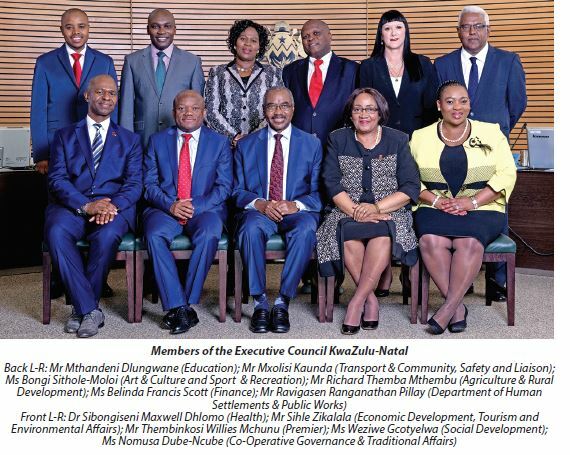 Mchunu commented that while the Province aspires to be an important gateway to Africa and the World, international developments can impact on KwaZulu-Natal. "We are therefore noting with great interest the latest developments related to international markets, in particular as they impact on investor confidence and the value of the Rand. We are encouraged by the latest upward adjustment of the World Bank projections for growth in our country." However, Mchunu commented that it has been difficult to grow an inclusive economy and to create jobs within the context of slow international and national economic growth. "We are, however, still on track to achieve our 2020 economic targets as measured against a 1% growth trajectory, and our aim is to work ourselves to a 3% growth trajectory as soon as possible. We currently have 2.536 million people in employment and we have created more than 100 000 jobs over the last year. 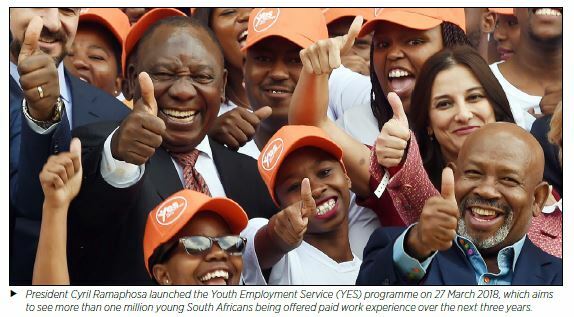 More will have to be done to address unemployment and in particular youth unemployment which now stands at 38.6%." In the 2017 State of the Province Address the Province committed to improve the ease of doing business in KwaZulu-Natal. As a result, the Invest SA KwaZulu-Natal One Stop Shop was officially opened by former President, Mr J G Zuma on 18 November 2017. "This initiative, managed by Trade and Investment KZN, was established through our engagement with our business partners and the KwaZulu-Natal Growth Coalition. This facility offers prospective investors a wide range of support services such as company registration, tax clearance, visa applications and all business registration requirements." Mchunu pointed out the provincial government remains committed to radical economic transformation to ensure inclusive, expanded and sustained economic output creates more jobs. He added that there would be a focus on the key drivers and sectors of the economy of KwaZulu-Natal and increasing access to new entrants in a manner that will create employment. These key sectors are agriculture, manufacturing and tourism. The agricultural sector has gone through challenging times with unintended consequences of poor land reform implementation and the recent drought. However, Mchunu reported that prospects in this sector were looking much better. The Agriparks Programme, which is being rolled out in collaboration with the Department of Rural Development and Land Reform is aimed at facilitating the participation of black people in production and agro-processing value chains beyond the farm gate. The agriculture sector will be strengthened by expanding its linkages with the manufacturing sector and refocussing the Agri-Village Programme. An Agricultural Summit is planned in 2018 to involve all stakeholders in this sector to identify challenges and seek solutions on how best to support emerging farmers to use their land productively, growing a shared economy, creating employment and securing food for the nation. Mchunu added that in order to counter competition and high entry barriers for new entrants to the mainstream economy a "radical" intervention from government to open up new opportunities without stifling the growth is required. He said, "We are confident that we will achieve positive outcomes through the Radical Economic Transformation Programme in 2018, focussing on our Operation Vula, which includes inter alia the Radical Agrarian Socio-Economic Transformation (RASET) and the Black Industrialist Programmes." Mchunu commented that the manufacturing sector is the bedrock of the Province's economy. He added that the sector had the potential of becoming an African hub for local beneficiation and the export of value-added products. This sector also has potential to attract investors. "We are encouraged by the progress our Special Economic Zones (SEZs) have made at Dube TradePort and in Richards Bay, and we will expand this model to other industrial hubs throughout the Province. This requires a collective effort to ensure that we have appropriately zoned and serviced land readily available to attract new investors in the manufacturing sector." Speaking of the Blue and Green Economies, he said that these would be supported to ensure that the gains that have made continue to be built on. "The fact that the boatbuilding industry is now partly revived in the Port of Durban and that our Tugs are now built here, is proof that we are making progress. The Provincial Maritime Incubator Programme is now established and provides much needed business training, mentorship, guidance and business support, targeting previously disadvantaged individuals, women and youth." The Province's tourism sector has seen phenomenal growth with annual passenger throughput at King Shaka International Airport registering an increase of more than one million, with international passenger numbers increasing by 90% since 2010. The airport has registered an overall passenger growth of 6.4% in 2017, which is the highest among all South African Airports. 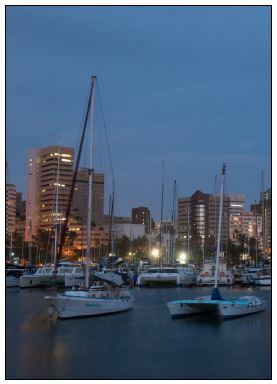 Of note, the development of the Durban Passenger Cruise Terminal, in partnership between government, the private sector and state-owned enterprises, will see the construction of a R215-million rand cruise ship terminal at the Durban Harbour, which will have a profound impact on the province's economic growth. Mchunu commented on the onslaught on our wildlife resources, such as rhino poaching and the unsustainable harvesting of our marine resources. "These criminal activities are not only posing a risk to our environment and bio resources, but also to our economy and the livelihoods of our communities who rely on the tourism activities attracted by these natural resources." "We need to attract investment to gradually develop low-end tourism destinations in rural areas and the periphery where the majority of our population live. We must move beyond the point from where our communities are mere observers in the tourism sector, to where they can become active participants and true tourism ambassadors for our Country and Province." The Province hosted the World Economic Forum on Africa in May 2017. This event attracted 800 of the largest companies in Africa as well as global Fortune 500 businesses and provided an unrivalled opportunity to showcase investment and collaboration opportunities in the Province. "We are excited about prospects of growing a shared economy in our tourism sector through strong public, private collaboration in building the required tourism infrastructure, to create an environment where local and foreign visitors would love to work, live and play," Mchunu said. The province is firmly committed to radically reduce unemployment and in particular youth unemployment. A programme called Sukuma 10 000 will be launched in the coming financial year. This programme, which will be coordinated in the Office of the Premier, will cutacross all departments, spheres of government, private sector, tertiary institutions, parastatals and other quasi-government organisations, aiming at creating 10 000 new job opportunities. This programme targets the youth, women and people with disabilities across the Province and participants have committed to contribute to a portion of this target from their various employment creation programmes. A KwaZulu-Natal Youth Development Fund will be launched in 2018. This Fund will provide seed funding for qualifying youth business development and will be able to accept private sector corporate social investment contributions. "We are excited about the prospects for economic growth in our Province, but we are equally concerned about the persistent gap between skills demand and supply. From whatever angle this matter is approached, the conclusion is always the same, inclusive economic development and human resource development are mutually inclusive to the point of almost being synonymous," said Mchunu. "Our focus must therefore be on ensuring that there is a well-connected continuum in our education pipeline, from early childhood development, through to pre-primary, primary, secondary, tertiary education and through to workplace skills development and adult learning." One of the primary goals of the government is the eradication of poverty and inequality to ensure that welfare services are delivered timely, effectively and efficiently. The province is committed to fast track and improve the efficiency of implementation of, inter alia, the Poverty Eradication Master Plan, the Social Cohesion and Moral Regeneration Strategy, the KZN Crime Prevention Strategy, as well as progress with strategies and plans to accelerate access to land and housing. 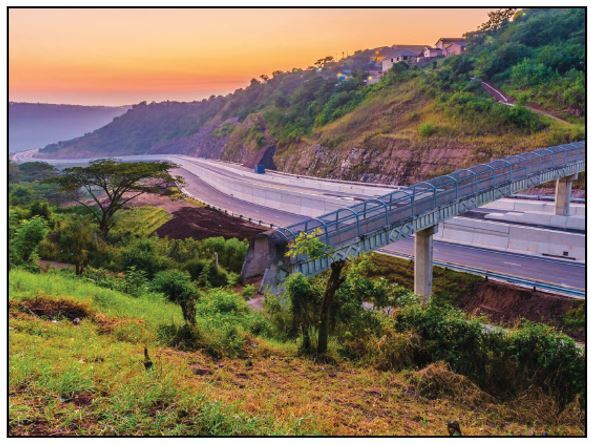 Strategic infrastructure development is essential for sustaining both the social and economic growth and development needs of KwaZulu-Natal. A current focus will be on expanding and maintaining infrastructure required for both social and economic development. "We will improve our ability to facilitate the coordination of infrastructure delivery and monitor progress made with the Strategic Integrated Projects (SIPS) of the Presidential Infrastructure Coordinating Commission (PICC) through the Provincial Infrastructure Master Plan and a process of registering and monitoring the implementation of Catalytic Projects." "The people of KwaZulu-Natal must have confidence in governance structures and must be satisfied with the levels of governance and service delivery in our Province. We are committed to being a caring and competent government, always placing people at the centre." 1. Social security and housing, where the focus is on improving child health outcomes, improving access to quality education, uplifting living standards, food and nutrition security, social security, as well as community mobilation and development. 2. Agriculture development, by adopting, adapting and fast-tracking the Fetsa-Tlala approach to ensure household food security, linking mechanisation to entrepreneurship, commercialisation of livestock on communal land; revitalisation of land reform farms; promotion of agriculture co-operatives and agribusiness youth empowerment. 3. Enterprise development through opportunities presented in waste management, construction, processing plants, rural renewable energy, mining and business support. 4. Employment creation with specific emphasis on rural infrastructure development, revamped expanded public works programme, rural tourism and communal milling stations. 5. Skills development, in particular to address issues of early childhood development, primary and secondary schools education improvement, skills alignment to economic growth, artisan development, and youth skills development and lifelong learning. The Province aims to reduce the number new HIV infections by 50% by 2016 and reduce the impact of HIV and AIDS by expanding access to an appropriate package of treatment care and support to 80% of all people diagnosed with HIV.  Great strides being made in the further development of the Cornubia project. The focus is specifically on improving the quality of and access to social welfare services to protect the rights of the vulnerable sector of society, namely children, youth, women, older persons, people with disabilities, people affected by HIV and AIDS and families, especially in under serviced areas. Coordination and integration of Early Childhood Development services remain paramount. In expanding access to ECD services, 146 ECD centres and 52 programmes have been registered in terms of the Children's Act. Two new noncentre based programmes also received financial support and ECD Stimulation Toy Tubs were distributed in the Ugu, UMkhanyakude, UMzinyathi, Zululand and iLembe districts. The KZN Disability Strategy was reviewed last year, in collaboration with the disability sector, to ensure that the province is responding to the needs of this sector of society. As part of expanding services to persons with disabilities, the roll-out of a Community Based Rehabilitation Programme was piloted in three districts, namely Umzinyathi, uThukela and Amajuba. Awareness programmes on children and youth with Dyslexia and Autism and persons with Albinism were conducted in eThekwini Metro to inform people about such disabilities. The Youth Development Chief Directorate was created to provide greater focus on and support for youth development issues in KwaZulu-Natal. A new Youth Development Strategy was adopted at a Youth Development Summit hosted in August 2014. A KZN Bursary Holder Alumni Association has been established to acknowledge graduate bursary holders, as well as to register, track and trace graduates. Good progress has been made with the soliciting of private business, state owned companies, and other potential funding sources to form partnerships and/or collaborations with the KZN Government in funding youth skills development programmes. Project Sukuma is a partnership initiative between the KZN Department of Health, the South African Military Health Services (SAMHS), the KZN Department of Education and the Office of the Premier to train youth to serve in the Emergency Medical Service including Maritime Medical and Diving Rescue Service in the Province. The province has also entered into MOU with the Consulting Engineers South Africa (CESA) to facilitate training opportunities for youth in the construction and infrastructure development process. The KwaZulu-Natal Youth Leadership Development Foundation Bill will seek to establish an appropriate mechanism to secure additional funding for youth development and empowerment, as well as for the development of youth leadership via maximum skills and academic achievements across various skills of study. Operation Sukuma Sakhe Operation Sukuma Sakhe (OSS) is starting to render results through the OSS War Rooms. The OSS system currently provides us with structures and mechanisms to promote coordination and integration of effort from all spheres of government, with structures of non-governmental institutions at provincial, district, local and ward levels. These War Rooms have become the centres from where urgent requests for assistance, the dissemination of important information and delivery for key services to communities can be addressed.The centrepiece of every War Room is fight HIV and AIDS related programmes. A growing, developing and caring province firmly focussed on vision 2030! These National Priorities, and for that matter all 14 Outcomes of the NDP remain the foundation of the Provincial Growth and Development Plan. The following indicate some of the actions underway. 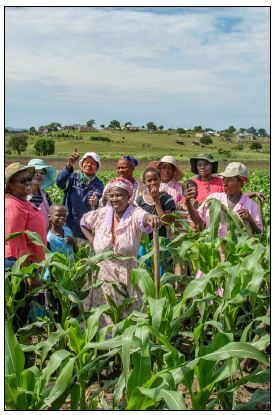 A KZN Agrarian Transformation Strategy will, contribute to rural economic development, increased production, job creation and market access for farmers mainly in rural areas through their integration into global value chain. A KZN Mineral Beneficiation Strategy has been developed, which is aimed at driving the minerals sector in KwaZulu-Natal towards a more profitable, socially accountable and environmentally sustainable future. The Province is currently conducting an analysis of the contribution of coal and phosphate in terms of their socio-economic development, risks and opportunities. The Department of Economic Development, Tourism and Environmental Affairs (EDTEA), has conducted a coal discards study that identified all existing coal mines and coal discards in the Province. These discards have been classified according to their economic value, environmental impact and logistical or ease of access to the discards. The Co-operatives Programme has two very specific objectives, namely to provide food security and to create economic activity at a very basic community level. Plans are advanced to get co-operatives involved in the production of commodities that can be branded and marketed, for both domestic and international market. The KZN Small Business Development Agency together with Ithala, provide holistic financial and nonfinancial support services to the co-operative sector. The Provincial Association of Traders to handle bulkbuying and warehousing for the co-operatives and SMMEs has been established. Buildings owned by Ithala across the Province are to be used as warehouses. This is to create direct access to suppliers and reduce costs of goods. An SMME Academy is to be established to provide the necessary skills desperately needed by the formal and informal economy. The maritime industry sector has potential to be an engine for sustainable economic growth and a game changer for the Province in a number of secondary areas. Opportunities comprise port optimisation in sectors such as containerisation, oil and gas, ship and rig repair, boat building and aquaculture. The RBIDZ is being used to pioneer an energy production hub. Currently, about 20 hectares of land have been identified to host gas-to-power operations in an effort to yield diversified energy generation capacity from renewable sources. Its importance lies both in improving the quality of life for the previously disadvantaged majority as well as supporting large-scale industrial development. This lack of access to efficient modern energy has significant impact on socio-economic development. The Province encourages everyone to work together to minimise workplace labour conflict that impact negatively on productivity. Everyone must work together to resolve any emergent disputes and pull our country to prosperity.  HBM and SA Health Project ' This is a condom manufacturing project to supply the local market and export to the rest of the continent, and is a partnership between a local company and a USA headquartered company.  Multi-Smelter Park Project Iron Ore Project ' The Melmoth iron ore project is a joint venture between Jindal Mining SA (Pty) Ltd and Sungu-Sungu Mining, as the principal Prospecting Right License holder.  Manufacture of Ethanol from Sugar Project ' The project promoter, Silvapen (South African / Brazilian Company) intends to establish an ethanol manufacturing plant near Jozini on the Makhatini Flats.  Hebei Iron and Steel in Richards Bay IDZ to the total of R75 billion. The King Shaka International Airport is growing as a strategic air transportation hub. The Province is planning to spend R12 billion on infrastructure in 2016/17. Department of Transport will spend the lion's share of this budget at 55%, followed by the Department of Education at 20% of the infrastructure budget and Department of Health at 13%. Other departments spend will be the remaining 12%. The Education infrastructure budget includes funding allocated in the Adjustments Estimates of R150 million. This funding is ring-fenced to address the water and sanitation backlogs in schools. Ms B.F. Scott MEC for Finance tabled the 2018/19 KZN Medium Term Expenditure Framework (MTEF) Budget in the Provincial Legislature on the 16 March 2018. The largest portion of the provincial budget goes to the Department of Education at 41.6%. The budget allocation over the MTEF is R50.9 billion, R53.8 billion and R57.9 billion. The largest share of the department's budget allocation is for the provision of personnel. The focus over the MTEF will be on improving curriculum delivery, particularly through ensuring access to high quality Learner Teacher Support Material. All learners in quintiles 1, 2 and 3 schools will continue to be fed through the National School Nutrition Programme grant. Funds are also allocated for the construction and maintenance of ECD classes, as well as procurement of LTSM for these schools. The department will also continue to focus on providing education for learners with special needs. The department will roll-out various infrastructure projects. The second largest portion of the provincial budget goes to the Department of Health at 34.6%. The budget over the MTEF is R42.3 billion, R45 billion and R48.3 billion. 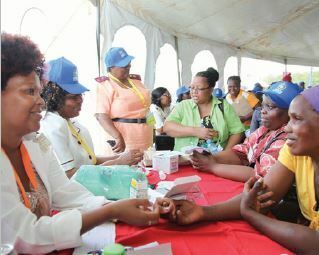 This continues to be for the delivery of primary health care services to the approximately 88.1% uninsured population of KZN, as well as preventive, promotive, screening, referral, rehabilitative, curative and emergency medical services delivered through fixed clinics, community health centres and district hospitals. The main cost drivers for the department are the payment of salaries, the high rate of inflation on medicines and medical supplies and services, payments to the National Health Laboratory Services for tests performed, increased demand for health services, as well as increased catering and fuel costs. Other factors are the increasing demand for the treatment of TB, projects such as the reduction of infant and child mortality through immunisation, and the change to the Universal Test and Treat programme for patients diagnosed with HIV and AIDS. The department will roll-out various infrastructure projects. The department increased its budget in 2017/18 to clear the backlog in the procurement of medical equipment, and this budget remains at this higher level in 2018/19 with strong growth in 2019/20, to continue addressing the backlogs. The Department of Transport receives 8.2% of the provincial budget. The budget allocation is R10 billion, R10.4 billion and R11.1 billion over the 2018/19 MTEF. The bulk of the department's budget allocation is for investment in the provincial road network in respect of the construction and upgrade of roads and the maintenance of the provincial road network. Various projects will be undertaken over the MTEF, including the construction of new gravel roads, new blacktop roads, new cause ways, new pedestrian and vehicle bridges. In 2018/19, the department will also continue to provide the subsidisation of bus services, as well as to continue to undertake law enforcement and road safety campaigns. The department will continue to mainstream EPWP into its work to achieve its target of 58 260 work opportunities in 2018/19. This will be done by increasing its focus on labour intensive construction. In this regard, R200 million worth of projects will be implemented using labour-intensive construction. The Department of Human Settlements receives R3.6 billion, R3.8 billion and R4.1 billion over the MTEF. The main purpose is for the provision of housing to various sectors of the population including rural areas and informal settlements, with the bulk of the funding being provided via the Human Settlements Development grant. The department is responsible for the implementation and monitoring of housing delivery within all districts including the eThekwini Metro, through various subsidy mechanisms in terms of national and provincial policies. The department provides for the facilitation and integration of housing sector planning, education of stakeholders in housing sector planning, alignment of the housing budget with the current and future housing needs, and the capacitation of housing stakeholders for housing delivery through mentorship and training. Continued focus on slums clearance projects remains a provincial priority. It is anticipated that these projects will provide alternative and permanent housing for 134 601 families currently living in slums, with 24 522 units expected to be built over the MTEF. In 2018/19, it is expected that some 4 110 units will be completed. The department will continue with the implementation of the Cornubia Integrated Residential Development Programme north of Durban as a national priority catalytic project in 2018/19. Over the 2018/19 MTEF, a total of 2 704 units will be built accommodating the same number of families. The Department of Social Development receives R3.3 billion, R3.5 billion and R3.7 billion over the 2018/19 MTEF. 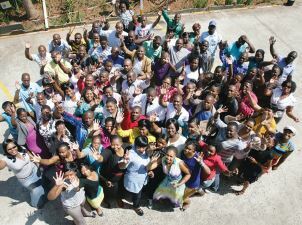 The bulk of the department's budget allocation is mainly for the provision of social work practitioners. The budget includes national priority funding allocated for the improvement of the quality of services provided by NPOs. In 2018/19, the department will continue to implement the rationalisation of services rendered through funded NPOs, to ensure that the funding needed for the carry-through costs of the 6% increase given to NPOs in 2015/16 is funded in 2018/19. The department will continue to provide social welfare services such as services to older persons, persons with disabilities, care and services to families, as well as child care and protection services, amongst others. EDTEA receives R3 billion, R3.2 billion and R3.4 billion over the MTEF. The bulk of the budget caters for transfers to its public entities, namely the Richards Bay IDZ, Dube TradePort, Ezemvelo KZN Wildlife, amongst others. The budget provides for various programmes, including implementation of the Black Industrialists programme, Operation Vula, and implementation of Industrial Economic Hubs. The department will forge partnerships with institutions of higher learning such as Durban University of Technology to provide training for the youth, disabled, women and unemployed to equip them with relevant skills to become employable and run successful businesses that will create more job opportunities. Operation Vula will focus on various sectors, including clothing, furniture, manufacturing, bakeries, agriculture and infrastructure development. 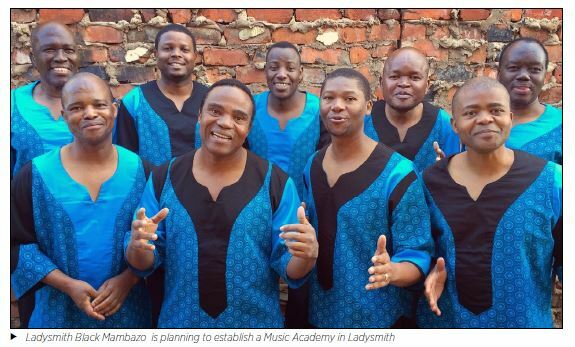 In addition, the department will focus on the development and establishment of the Ladysmith Black Mambazo Music Academy in Ladysmith. The department is also in the process of designing a 5-year Master Plan for formalisation of the informal economy aimed at streamlining all informal economy activities in the province, thus facilitating the transition from the informal to the formal economy, in line with radical economic transformation. The implementation of community-based, rural and township tourism projects remains a priority as part of radical economic transformation within the sector. EDTEA will continue to partner with key stakeholders in the implementation of key tourism projects. The Department of Agriculture and Rural Development receives R2.3 billion, R2.4 billion and R2.6 billion over the MTEF. This will focus on providing support to food insecure communities at subsistence and household food production level. Continued support will be provided to commercial farmers with the aim of improving agricultural production, as well as focusing on the development of rural communities through agrivillages and a co-ordinated approach to rural development. Through the Food and Nutrition Security programme, the department has budgeted R203 million for interventions including One-Home-One-Garden, Community gardens, One-Hectare-One-Household, Institution gardens, One-Household-One-Fruit tree (or more), indigenous goats, indigenous chickens, as well as mushrooms. The department will prioritise infrastructure projects comprising nurseries, grazing camps, dams, boreholes, irrigation schemes, dip tanks, poultry, piggeries, etc. The Department of Public Works receives R1.6 billion, R1.7 billion and R1.8 billion over the MTEF. This will largely be used for the payment of property rates relating to provincial properties, as well as continuing with the implementation of Government Immovable Asset Management Act projects. In 2018/19, condition assessments of 209 district offices and four district hospitals will be undertaken, and maintenance plans will be developed for these facilities. The department will continue to ensure that the EPWP generates more work opportunities towards creating sustainable jobs, which will contribute meaningfully to poverty alleviation, and this will continue to be extended to beneficiaries with disabilities. The department has set a target of 6 000 work opportunities and 600 Full Time Equivalents in 2018/19 in this respect. The department will continue with the provincial co-ordination and monitoring of the EPWP and will support 66 public bodies, made up of 54 municipalities and 12 provincial departments reporting on EPWP to ensure that their set EPWP targets are attained. CoGTA receives R1.7 billion, R1.8 billion and R1.9 billion over the MTEF. The department will continue to co-ordinate, support, promote and enhance governance, administration and public participation in local government, as well as provide support and build capacity within traditional institutions. The department will continue to support the installation and recognition of Amakhosi and will ensure that the Traditional Council elections are transparent, free and fair. The department's role is also to promote informed integrated planning and development in the province. This includes developing traditional master settlement plans in consultation with Amakhosi to achieve structured planning in rural areas. They will also support municipalities with the development of nodal plans for towns, and to accommodate growth in small town nodes. The department will map data relating to climate change to enhance the province's response to this critical issue. In this regard, Disaster Management Centres will be supported and maintained, and assistance will be given to all districts and departments with regard to disaster risk management planning. The Department of Arts and Culture receives R962.6 million, R975.8 million and R1 billion over the 2018/19 MTEF. The department will continue to uphold its core mandate of ensuring cultural advance of all people in the province through hosting various cultural events and provision of reading and writing material. The department will focus on the transformation of existing museums to better portray the diverse cultures of the province. A total of 230 public libraries will receive funding in support of staffing and operational costs. New books will be purchased to add to the available collection of 3.3 million items. The department will purchase books supporting school curriculum and tertiary education modules to satisfy the demand for educational support in public libraries. The Office of the Premier receives R787.1 million, R822.6 million and R874.7 million over the 2018/19 MTEF. The functions of the Office of the Premier include the coordination of provincial policy and planning processes, the provision of provincial leadership and inter-departmental co-ordination, and the promotion of a culture of human rights consciousness and gender sensitivity across the province, amongst others. The budget allocation is for cross-cutting and transversal activities, such as Operation Sukuma Sakhe, integrity management, youth development, the Nerve Centre, support to His Majesty the King, as well as transfers to its three public entities, Amafa, the KZN Gaming and Betting Board and the Royal Household Trust. Provincial Treasury receives R650.9 million, R677.3 million and R721.4 million over the MTEF. The bulk of the department's budget is for financial governance, internal audit and SCM. Treasury will continue to provide technical support in the development of the Provincial Infrastructure Master Plan. Treasury will also continue to monitor the spending of departments and public entities, with the aim of keeping provincial spending within budget, with a focus on infrastructure spending. In this regard, various oversight bodies will continuously be kept informed of the provincial budget performance. The current practice of monitoring all departmental bank balances on a daily basis to ensure effective cash flow management will be maintained. Treasury will continue to enforce compliance with all SCM prescripts in provincial departments, municipalities and public entities and establish and maintain a strategic link between financial management reforms and procurement processes. Comprehensive compliance assessments will be undertaken to ensure that incidents of irregular expenditure relating to SCM processes are reduced. Support will be given to departments and public entities in an effort to improve audit outcomes. Treasury will continue to provide internal audit services to departments by performing risk-based audits, with specific focus on overall good governance, and will roll out the revised provincial risk policy and framework. From 2018/19, the Municipal Finance unit becomes a stand-alone programme and will continue to be responsible for municipalities' budgets, accounting and reporting, as well as the Municipal Support Programme. Provincial Legislature receives R565.2 million, R600.5 million and R640.8 million over the MTEF. The bulk of the Legislature's budget relates to the areas of law-making and oversight, as well as public participation. Public involvement initiatives like Taking Legislature to the People will continue. The Legislature will strive to increase stakeholder involvement in line with the constitutional mandate of facilitating public involvement in the legislative and other processes of the Legislature. Departments will be invited to a stakeholder summit to present their respective APPs which identify their performance indicators and targets for the year ahead. The public will be engaged in the presentations of the APPs. The committees will provide oversight to ensure that the Executive delivers high quality services which are in line with the targets in their APPs. 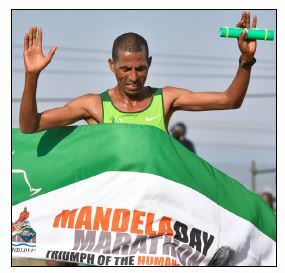 The Department of Sport and Recreation receives R452 million, R476.7 million and R507 million over the MTEF. This budget is used to promote, develop, administer and fund sport in KZN. It also ensures advancement of participation in sports and recreation, talent identification, and the promotion of performance excellence, as well as the construction of sports and recreation facilities. Some of the plans for 2018/19 include the construction of 71 sports and recreation facilities, comprising one basic sport and recreation facility, 11 outdoor gyms, 11 multipurpose courts, 11 kick-about sport facilities, 33 children's play gyms and four new resourced district hub fitness centres Training will be provided to 450 educators and volunteers in coaching, technical officiating, and team management. In addition, the department is targeting to provide 400 identified schools with sport equipment and attire. The department will continue to place a high priority on promoting active healthy lifestyles among citizens in an effort to promote the fight against lifestyle diseases and obesity. The Department of Community Safety and Liaison receives R224.9 million, R228 million and R242.8 million over the MTEF. The bulk of the department's budget is for community safety initiatives, including the Voluntary Social Crime Prevention Programme, maintenance of Community Safety Forums and Community Policing Forums, crime awareness campaigns (victim empowerment, drug abuse, etc. ), police station evaluations, justice, crime prevention and security, dealing with stock theft, cross border conflicts, and taxi violence, amongst others. inequality." (Premier Mchunu: State of the Province Address 2017). Radical Economic transformation does not mean taking from those that have wealth and distributing it to others. It means trying to change the structure of the economy by including those who were previously disadvantaged. It is against this background that the Province has embarked upon Operation Vula to formulate a comprehensive business and operational plan to open up economic opportunities for mass based social enterprises and cooperatives, led by African people in particular, to benefit from capital intensive state led infrastructure programmes, as well as from the state buying power. Operation Vula means that the provincial government is opening a space for emerging entrepreneurs and ensuring that through the procurement processes and policies of the country all people will be allowed to participate. All government departments of the provincial government of KwaZulu-Natal have either developed or are in the process of developing an appropriate strategy to ensure that the programme has multiple points of entrance and effectiveness. In this regard it means that 50 % of all government procurement spend should be ring-fenced for those who were previously disadvantaged in order for them to be integrated into the economic mainstream. Added to this requirement, government departments will have to procure goods and services within the area where a project is operational and will not be permitted to transport goods and services from outside that particular locality when they can be sourced from within. This government sector is a huge market that community based social enterprises such as co-operatives and SMMEs could infiltrate as opposed to the current situation where the suppliers are big traders that undermine empowerment efforts. The intention of Operation Vula is to ensure that money in circulation in townships and rural areas exchanges more hands before it leaves the community. The National Development Plan estimates that agriculture has the potential to create more than one million jobs by 2030, contributing to food security and efforts to reduce poverty levels. RASET meaning radical agrarian social economic transformation, talks to the value chain in the agriculture sector. Department of Health's Food Service Model, which spends R220 million in respect of the outsourced units and R 51 million for in-house units for public hospitals. Some districts in KwaZulu-Natal, such as King Cetshwayo District and eThekwini Municipality have active institutional arrangements in the form of trade agencies in place. These initiatives have a high social impact on strengthening local communities. Of significance is that not only do people get fed, but local transport companies obtain work and farmers get paid almost immediately. These arrangements should be replicated in other parts of the Province to ensure this programme is accessible to all communities. RASET is also a critical instrument for the empowerment of designated social groups such as women, youth, people living with disabilities, and military veterans who have to be drawn into the food supply value chain. Empowering our people with necessary skills to cultivate their land and tender livestock for the market as opposed to subsistence farming is also required. This training should be coupled with the provision of both technical and business skills for farmers to be able to achieve sustainable yields for the market. In order for RASET to perform optimally, the access to arable land by the target beneficiaries of the programme needs to be addressed. Historically, both colonial and apartheid governments ensured that the black majority was confined to a mere 13% of the country's land, while almost 87% of productive and fertile tracks of land was the preserve of white people. This disparity has ensured huge inequalities since the former could not actively participate in wealth generation through agricultural activities, mining and many industrial pursuits. The Province of KwaZulu-Natal is determined to work with national government in fast-tracking land reform on a considerable scale compared to what has happened over the past twenty two years. entrepreneurs who want to enter the space of industrialisation will be assisted through the funding of feasibility studies, training and research as well as ensuring that they have startup capital. 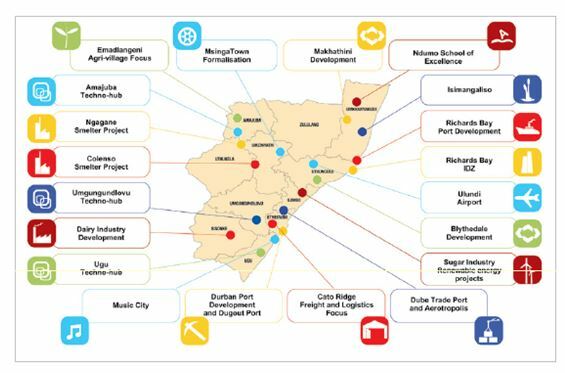 The provincial development finance institutions (DFI) such as the KZN Growth Fund and Ithala Development Finance Corporation have been directed to prioritise projects that meet the Black Industrialists criteria as set out in the Department of Trade and Industry (the dti) policy. The DFIs are already playing a key role in appraising projects for co-funding as well as facilitating the process of applying for funding with the dti and other developmental funding institutions. Training and skills development is essential; the Department of Economic Development, Tourism and Environmental Affairs is working in partnership with the Coastal KZN Technical and Vocational Education and Training (TVET) College to support SMMEs and cooperatives with their training needs. Furthermore, the province will be working with the private sector to identify supplier development opportunities for black industrialists. The intention is not only to equip entrepreneurs with training but to ensure that they enter the marketplace. Consequently, incubation programmes will be required in order to ensure that entrepreneurs not only obtain skills but are also equipped to participate in the economy in a sustainable manner. Mr Zikalala MEC for the Department of Economic Development, Tourism and Environmental Affairs says, "Incubation programmes, need to avoid typically weaknesses, they need to go beyond preparing an individual to be an employee but must look at business orientation. A six month programme of support is not sufficient in order to acquire the required technical skills as well as be equipped with appropriate business skills. A period of at least two to three years of support in an incubator is required. Once we see that a person has sufficient knowledge, skills and business acumen to run their own business in a sustainable manner we can then allow him or her to stand on their own feet." "We have young and growing population with a lot of potential who need to be supported through the policy of radical economic transformation irrespective of class, race, gender and spatial location. It is apparent that government cannot address the developmental challenges that the province face alone. Only a structured collaboration among government, civil society, the labour movement and the private sector will serve as a pillar of the provincial radical economic development process," concluded Zikalala.